Home Tuition is available through Online Tuition for Class 10 for Maths ICSE. Tutormine, one of the best online tuitoring platforms, offers eminient tutors for live interactive one-to-one online tuition for all ICSE subjects right at the home of students. Being a student myself, Iknow how frustrating it gets when you can't get an idea ofto where to "begin" and to "end". Well the key to effectively study any topic or subject is to know what and how you have to study.Achieving great marks isn't a God-gifted talent, it is simply students' result of their strategies and commitment. I have scored 93% in ICSE and 94% in ISC. While teaching atopic, I prefer starting from very basic fundamentals and then build up to the complex ones. I am very passionate about teaching and love to help out. I am currently in my final semester of engineering and I have a job offer at Tata Consultancy Services.I can tutor ICSE and ISCboards only as I am a passout of these boards. Being a student of these boards Iknow exactly how to prepare, what to prepare and at the same time making sure that the concepts taught are crystal clear.Thanks for going through my profile! 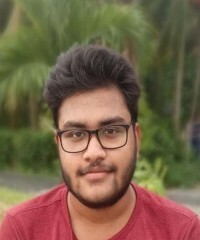 Scored 94% in ISC with 94/100 in PCM and 99/100 in Computer Science. Awarded silver medals two times from Agrasen Samiti for excellent academicperformance in 2013 and again in 2015. Never held a position below 3rd inschool terminal examsin my entire school life. Awarded gifts and merchandise by LIC, India for distinguished academic performance in 2013. Achieved a scholarship of Rs 10,000 from Harsh and Payal Hada Foundation for excellent academic performance in 2013. Awarded 2nd runner-up prize on the district-subdivision level from HDFC bank, 2013 for excellent academic performance in ICSE. 1. Standing job offer as Assistant Systems Engineer at Tata Consultancy Services. 2. Made 8live electronics projects till date, one being funded by my college.